Rising sales show that the biggest threat to GM’s corporate reputation isn’t recalls, but rather critics willing to irresponsibly forecast the company’s demise. What these critics – and the media covering them – do not understand is that consumers don’t think of recalls as failures. No one is happy to get a recall notice, but the typical American recognizes they protect against product flaws and preserve their investment in a car. Anyone who suggests that consumers make their purchase decisions based on carmakers’ recall history is simply ignoring the facts. 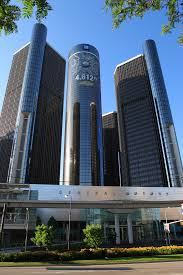 GM’s sales numbers show it. And so do those of Toyota, Hyundai and Audi. All experienced highly visible recalls. And all have healthy sales. Many so-called corporate reputation experts claim to know what impacts a company’s good name or what damages the relationship it has with customers. But anyone who flatly suggests that recalls harm a company is simply spouting conventional wisdom, not reflecting history. In fact, honesty about recalls – and a consistent demonstration of real concern for customers’ well-being – is a great way to strengthen connections with customers. If GM continues to take steps towards protecting the well-being of its customers, those customers will continue to reward the company with their loyalty. Jim Martinez is managing consultant of RIGHTSTORYGROUP, LLC, a public relations firm that has counseled companies on warranty issues. He can be reached at jim@rightstorygroup.com.